We are a famous Manufacturer, Trader, Exporter and Importer of the quality approved assortment of Aluminium and Alloy Casting Parts. These products are admired for their anti-corrosive and easy to install features. We are reckoned Manufacturer, Exporter, importer and trader of premium grade Alloy Casting Parts, Brass Forging Parts, Brass Casting Parts, Bronze Casting Parts, Industrial Casting Parts, Gun Metal Casting Parts, Aluminium Casting Parts, Gravity Die Casting Parts and Copper Alloy Casting Parts. 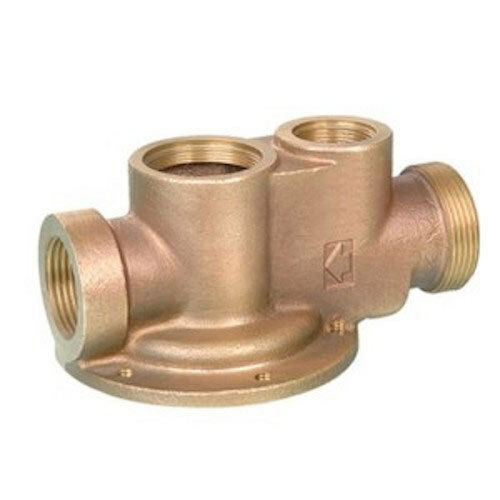 Our offered castings are manufactured by making use of supreme grade metal alloy and advanced molding machines under the visionary guidance of trained professionals. Moreover, these casting are checked for their quality on different stages of quality parameters before being supplied to our clients.